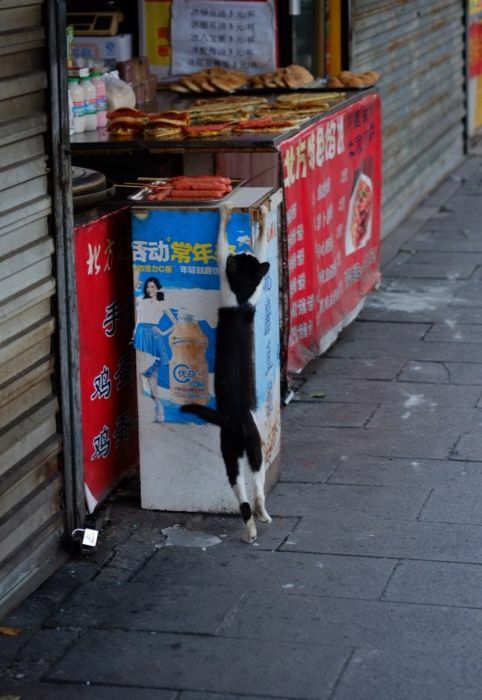 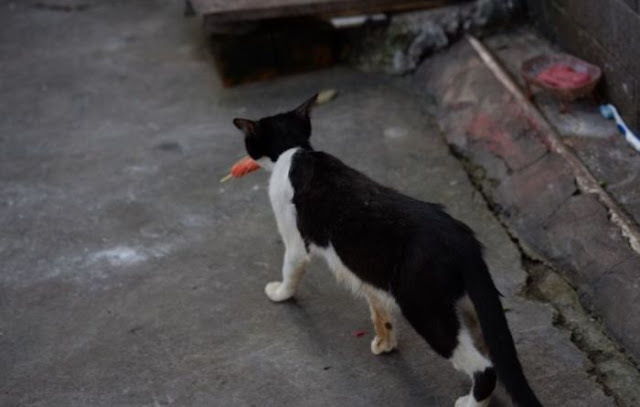 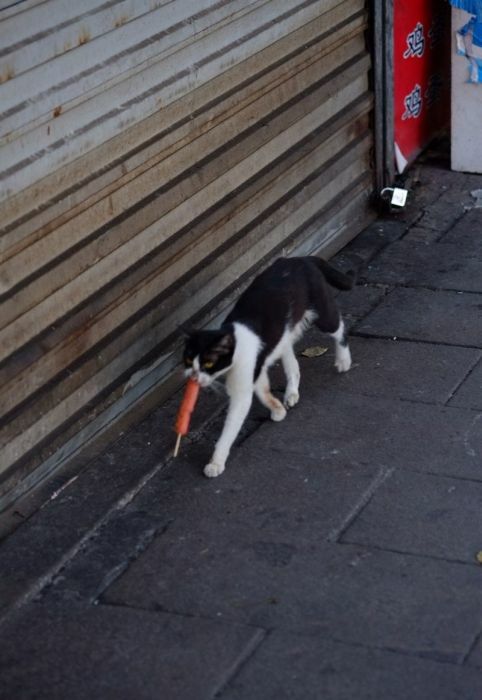 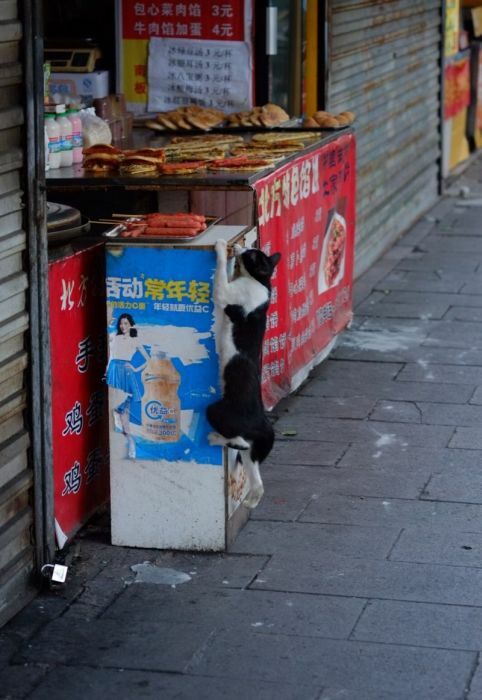 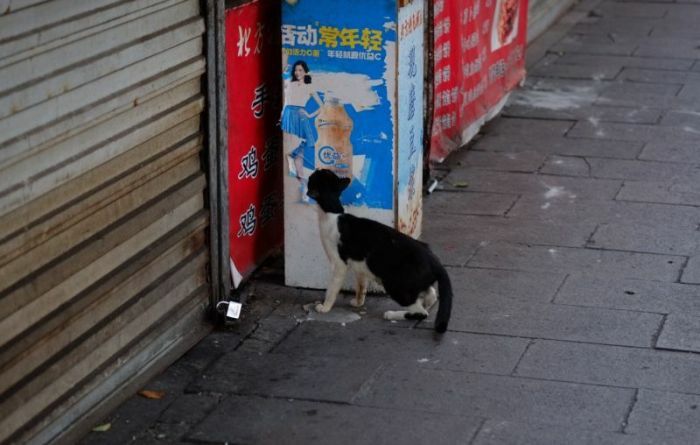 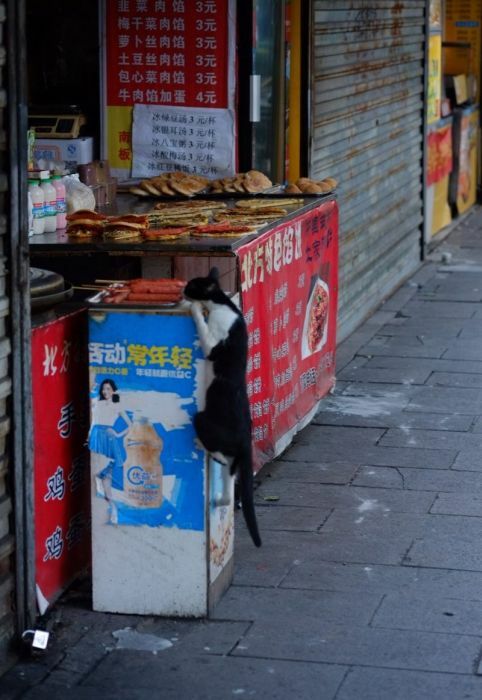 If you're selling food on the street be on the lookout for this cat. 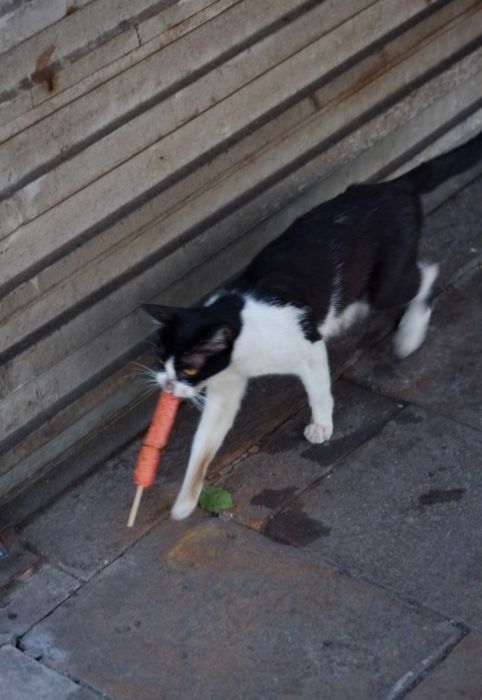 He's on the loose and hungry. 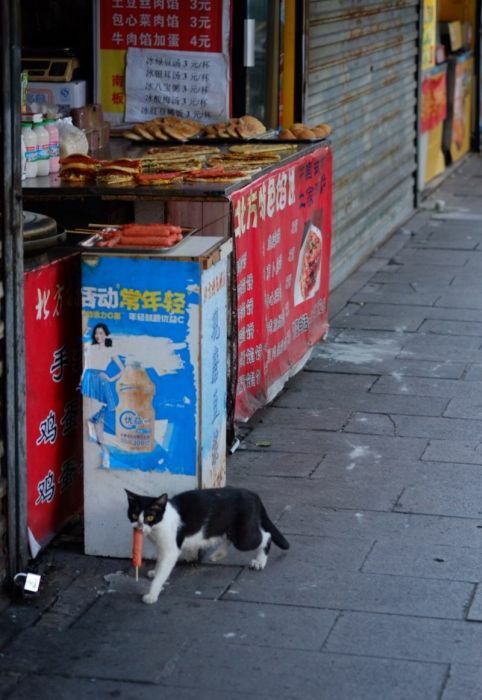 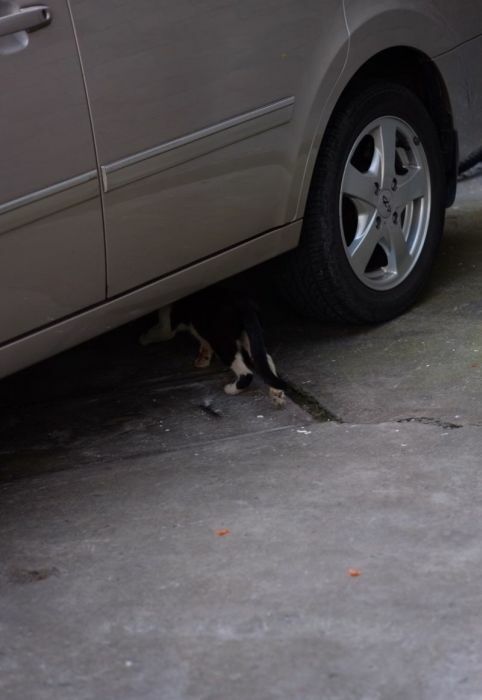 0 responses to "This Cat Has No Problem Stealing His Dinner (9 pics)"